Despite what some people may think, being a manager is no walk in the park. In fact, the combination of mental work, social interaction, project juggling, time management challenges, high pressure, responsibility, and variability makes it among the more demanding types of work any person can take on. The hours are terrible and the stress is inevitable. But if organizations expect to accomplish anything of consequence, they must have managers, from the front line supervisor on up. While a manager may not directly produce whatever it is an organization makes, they do facilitate and organize team productivity, clearing the way for others to succeed with a minimum of obstacles. However, a true leader acts as more than just a manager, driving the team’s performance; they also act as a coach in the best sense of the word: laying out the general strategy with their talented, trusted team members, who then run with the ball while the coach steps out of the way. So when should you be one or the other? Managers often have to tell others what to do to get a job done. You may have to act from greater experience, knowledge, or training, directly passing on your requirements through tasking, directives, and initiatives. This most often occurs in situations where immediate needs are paramount, and you need to achieve specific outcomes efficiently and quickly. Your team members look to you for answers, and rightly so in critical circumstances. Not that you don’t want them to think for themselves, but sometimes a team just needs someone to coordinate, while everyone else does their piece of the project. As a pure manager, you direct from a position of authority while guiding your team toward a specific outcome. The above situations require quick, decisive action focused on high productivity and achievement. No longer does a manager just tell people what to do: he or she guides them in their work, clears obstacles from their paths, and supports their immediate and long-term career goals. Trusted, experienced, and efficient personnel form the hub of the true wheel of productivity, so coaching skills should take the lion’s share of your time. You share mission, vision, and goals in a transparent way with all your team members. When you coach, you teach your people the ropes as necessary, acting as a mentor rather than autocrat, and otherwise make suggestions in real time concerning what they can do to tweak their behavior toward an optimum. When they don’t quite reach a standard, you praise what they did right, then outline where you think they showed weakness and what they can do to improve. You provide the tools they need to succeed—because when your team succeeds, so do you. Coaches create the kind of engaged, empowered employees needed for survival today. No longer does the pure manager hold sway, because we no longer need them all the time. Yes, we require a firm hand at times, especially during crises and when dealing with green recruits. But otherwise, the coach has the upper hand in the drive toward excellence and a bountiful outcome. 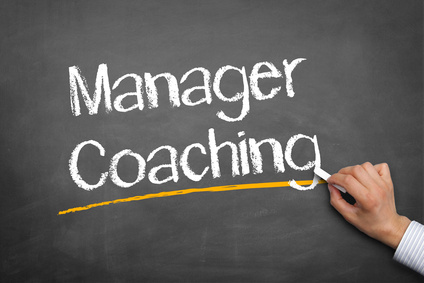 The manager-as-coach provides the flexibility and agility all businesses require on the road to success, as well as the motivation and confidence individual team members must feel in order to take you there. Given these facts, it seems a foreordained conclusion that the importance of manager as coach rather than autocrat will continue to increase in the foreseeable future. If you haven’t already started the shift yourself, it’s time to begin.